Solo Express Bangkok is located a 7-minute walk from On-Nut BTS Skytrain Staion and a supermarket. 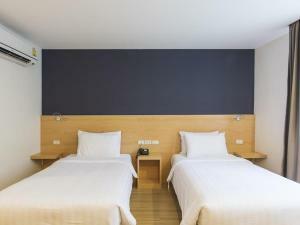 This hotel offers air-conditioned rooms and free WiFi. Rooms here will provide you with a flat-screen TV. 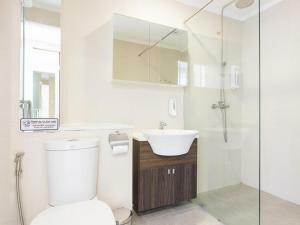 Featuring a shower, the private bathroom also comes with free toiletries and towels. 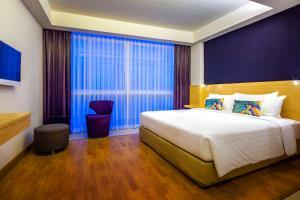 Hotel NIDA Sukhumvit On Nut has staff at the 24-hour front desk and luggage storage is available. 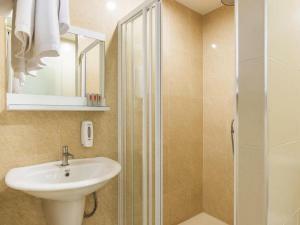 The hotel also offers a daily maid service and laundry services. From the skytrain station, guests can reach Bangkok's city centre in 20-minutes. 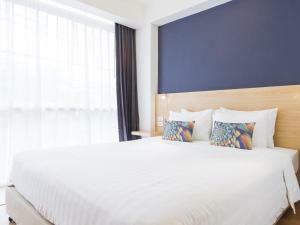 The hotel is also a 25-minute drive from Mega Bangna and a 35-minute drive from Suvarnabhumi International Airport. Rate: THB 920.00 ... THB 1480.00; select dates below to get current rates. Rate: THB 937.50 ... THB 1400.00; select dates below to get current rates.